Rankings are based on experts’ opinions about program excellence and on statistical indicators that measure the quality of a school’s faculty, research and students. UCLA is also the No. 3 American public university among the top 1,250 universities in 75 countries that were considered in the evaluation. The report takes into account things such as quality of teaching and research, knowledge transfer and international outlook. The publication also ranked UCLA first for economic diversity and as the best public university for veterans. The rankings are based on indicators in four main areas: outcomes, resources, engagement and environment. Washington Monthly rankings factor in the benefits of research, social mobility and public service. 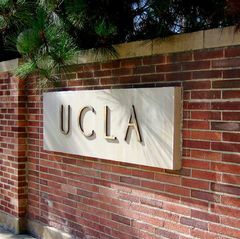 UCLA is tied for third among the Best Colleges for Jewish Life in the United States. ShanghaiRanking Consultancy measures six key criteria in its Academic Ranking of World Universities. For the 29th consecutive year, U.S. News & World Report places UCLA among the country’s elite in health care. Eight specialties placed in the top 50 nationally: nephrology, orthopaedics, neurology/neurosurgery, gastroenterology, cancer, urology, cardiology and neonatology. Forbes ranks UCLA Health No. 43 in the nation among all industries; and Becker’s Healthcare lists it among the 150 Top Places to Work in Healthcare for 2018. UCLA placed No. 2 among U.S. public universities and rejoined the top 10 universities overall for the first time since 2014. UCLA tops the list of 300 colleges and universities. Five other University of California campuses made the top 20. The magazine has listed six UCLA professional schools and graduate programs among the top five in the country, and another seven are listed in the top 10. UCLA is third among American public universities, according to the 2018 Best Global Universities rankings. Distinction is third time this month UCLA was rated the top public university in the United States in a major ranking. The report ranked UCLA No. 11 among all American universities — public or private — and No. 15 overall worldwide. The Academic Ranking of World Universities, which uses six criteria to measure excellence, is compiled by Shanghai Jiao Tong University. The survey’s honor roll names only 20 medical centers; UCLA Health has appeared on that list for 28 consecutive years. The assessment relies on clinical data and reputation surveys of health care providers to identify the top 50 programs in each of 10 disciplines. The rankings assess the international prestige of institutions of higher learning based on input from academic leaders around the world. In a new Forbes ranking UCLA outperformed 298 other private and public institutions. Rankings by the Milken Institute put UCLA No. 1 in the nation when it comes to the number of startup companies launched as a result of campus research, no. 15 overall.